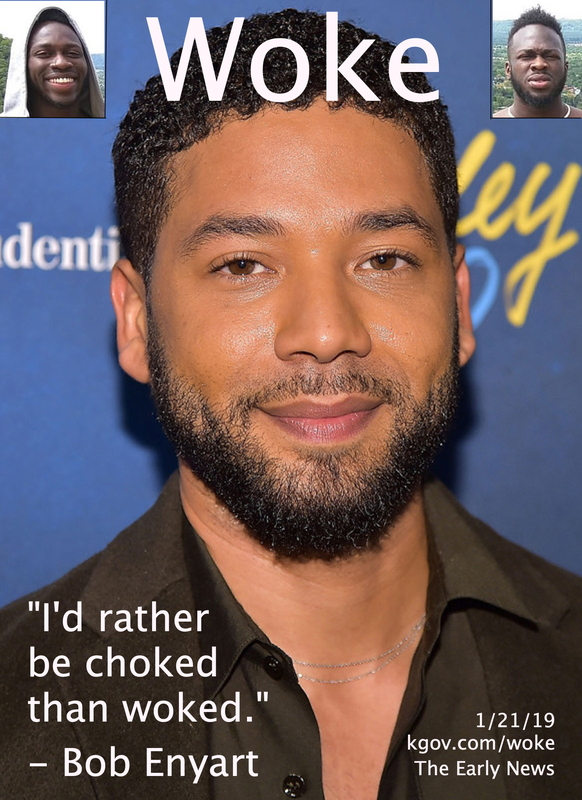 * Lose the Noose Man: Why would proud homosexual Jussie Smollett keep the noose around his neck that his "racist attackers" put there? Perhaps because he’s lying? * The 2nd Most Expensive Affair Ever: Jeff Bezos is going to pay an enormous sum for his adultery, (and not just financially). But his children will pay more. And no matter the justifications other deviants try to make, find out why the Bezos affair could go down as the second most expensive ever. 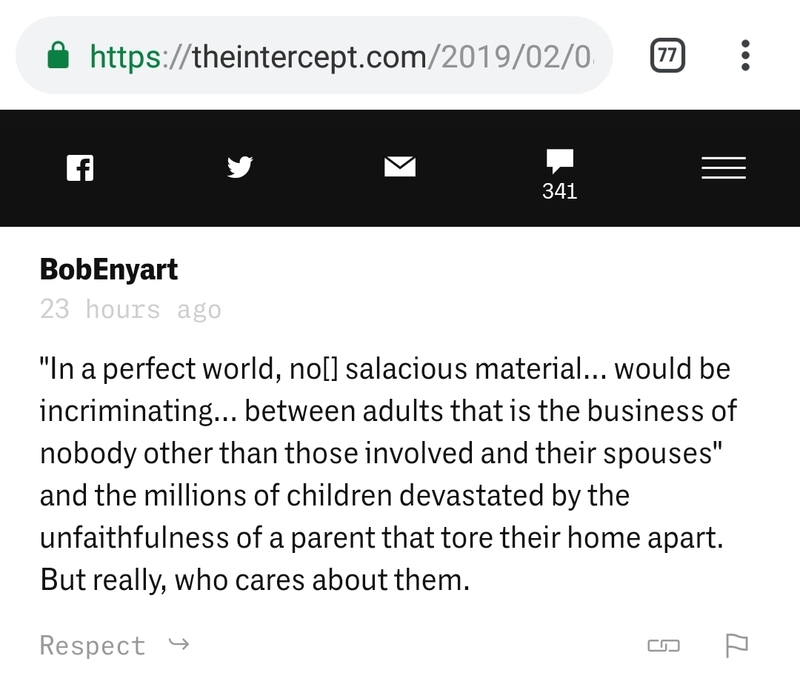 And see the screenshot of Bob's comment to pro-adultery Glenn Greenwald. * Donald Trump Himself Condemned the Attack: President Trump immediately condemned the alleged hate crime as "horrible". That helps to illustrate that it's not inherently wrong to accept an apparent victim's claim of being attacked. Of course though, as contrary evidence surfaces, in cases involving political motivation, etc., kgov.com/bias will typically result in one "side" or the other tending to deny that evidence. * Socialism in your Face: Listen in as Bob and Doug discuss the intellectual disconnect of a generation of Americans warming to socialism, as a socialist civilizational collapse occurs right before their eyes in Venezuela. * Freedom Needs Your Help: With true freedom rooted in the Gospel of Jesus Christ, the voice of Bob Enyart Live is more important now than ever before! Go online right now and give all you can to keep Bob on the air for another year. * Happy "Death to America": The Iranian mullahs meant to say happy anniversary, but they just seem to be stuck on the whole "Death to America" chant. Bob and co-host Doug McBurneydiscuss the original Islamic State 40 years on.